We have been following the route of Charles Darwin and the Beagle on this cruise, with today following suit. 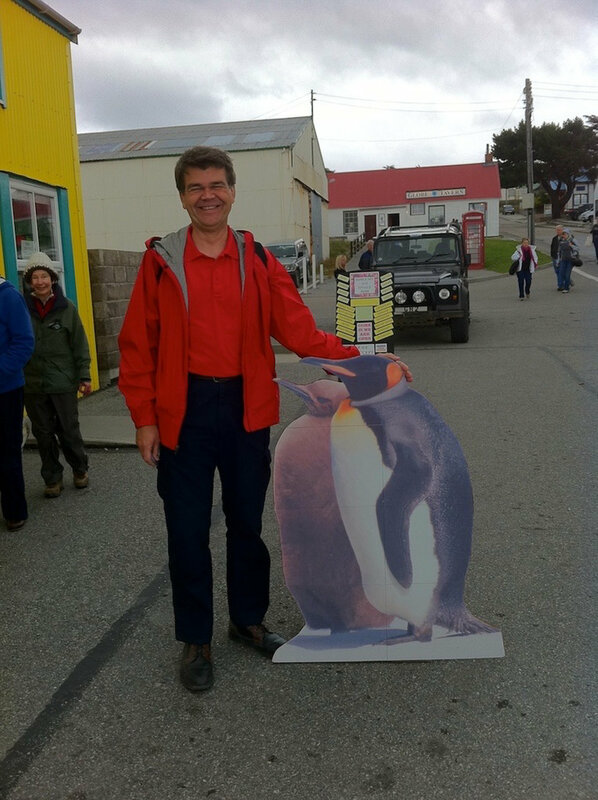 Today we disembarked at Port Stanley, part of the Falkland Islands. When he arrived here, Darwin wrote about the unusual flora, marine mammals, and birds, some species of which have since become extinct. There are several breeds of penguins here, including Magellanic, rockhopper, macaroni, Gentoo and King Penguins, and there are black browed albatross (look surprisingly like Laysan albatross) on the outer islands. The Falklands are in the South Atlantic Ocean, 300 miles east of Argentine Patagonia and 500 miles north of Cape Horn. The islands have a total land area about the size of the state of Connecticut, and Port Stanley, its capital, is where about 2/3 of the Falkland population resides. Over the centuries, the islands have changed hands many times and have been the source of fierce battles between countries wanting control. Most recently, in April 1982, Stanley was occupied by Argentine troops for about ten weeks during the Falklands War. The Argentines renamed the town Puerto Argentino, and although Spanish names for places in the Falklands were historically accepted as alternatives, this one is considered to be extremely offensive by many islanders, demanding as it does that the city is Argentine. It has however gained some support in Spanish-speaking countries, though its acceptance is far from unanimous. Stanley suffered considerable damage during the war, from both the Argentine occupation and the British naval shelling of the town, which killed three civilians. After the British secured the high ground around the town the Argentines surrendered with no fighting in the town itself. The beaches and land around it were heavily mined and some areas remain marked minefields.Since the Falklands War, Stanley has benefited from the growth of the fishing and tourism industries in the Islands. Stanley itself has developed greatly in that time, with the building of a large amount of residential housing, particularly to the east of the town center. Stanley is now more than a third bigger than it was in 1982. The islands are separated into two administrative clusters, East Falkland (Isla Soledad) and West Falkland (Gran Malvina). The local homes as we came into Port Stanley had extremely colorful roofs, in direct contrast to the very gray weather. They also serve a navigational function for sailors. It was quite chilly, and windy, which is how it is most days here. We arrived at the capital off of a dinghy, and made our way into the visitors center. 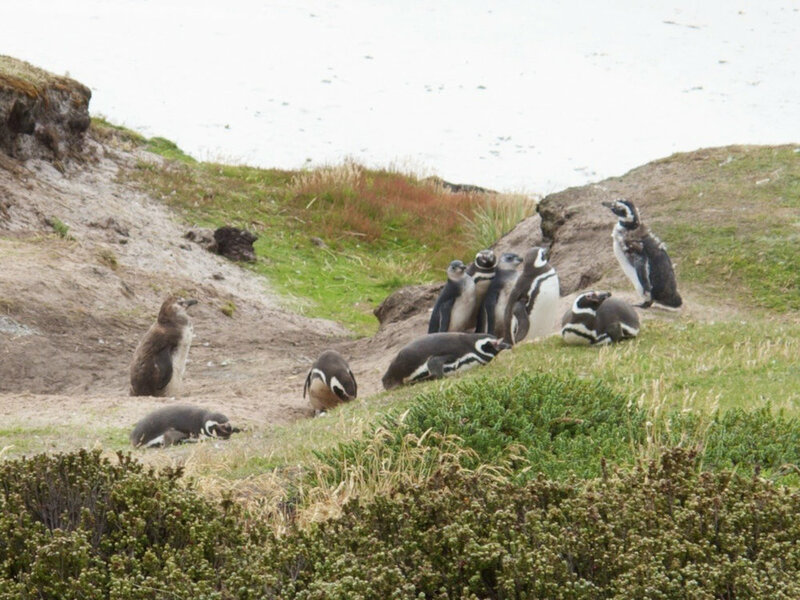 From there, we took of on the 4 mile trek to Gypsy Cove, home to Magellanic penguins and other ducks and birds. The first 2 1/2 miles that we went on were pleasant, a paved road, and some marshy land. We passed by the southernmost Anglican church in the world, government house, and a cemetery (along with a number of pubs!). But then we made it to the 2/3 point, the sunken Lady Elizabeth, and we returned to very rough road for the last 1 1/2 miles. That was when my previously irritating blisters turned into very irritating blisters! As you round the curve to go towards the Bay, there is a pretty steep uphill, roughly a 200 foot climb, and then it is down to the Cove. As we were entering the initial uphill, we passed a couple who mentioned that they had not seen any penguins. Depressing! But we soldiered on. When we got there, a very kind tour guide offered us a ride back into town, which I snatched up immediately! We walked along the pathway, and got to see penguins on the beach, and then some more very close to us on the path. Fantastic! 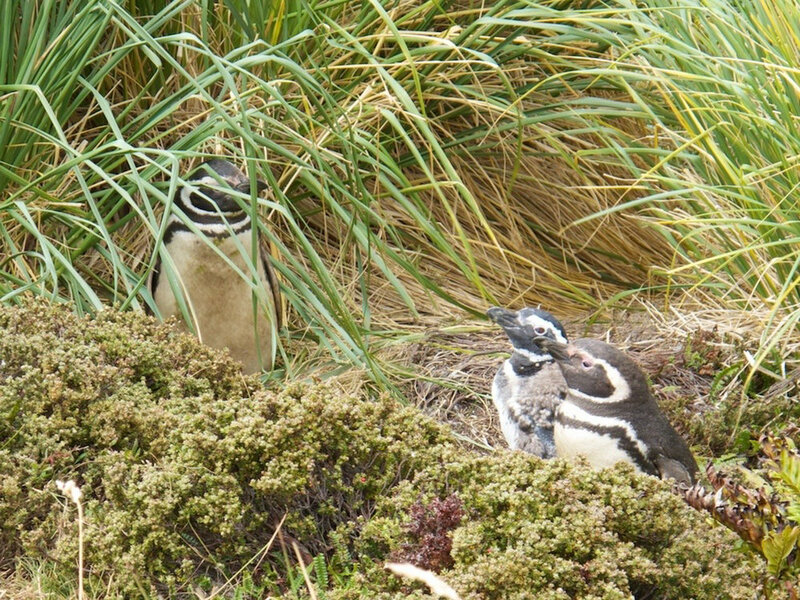 These penguins are only here in the summer months, hatching chicks and getting them ready to migrate. I didn’t notice any little furry chicks, but Ivan and Sue, who went on a different trip, did see the babies. I’ll have to steal some of their pictures! Dinner was a formal night, with Sue and Ivan, and then off to do some work. 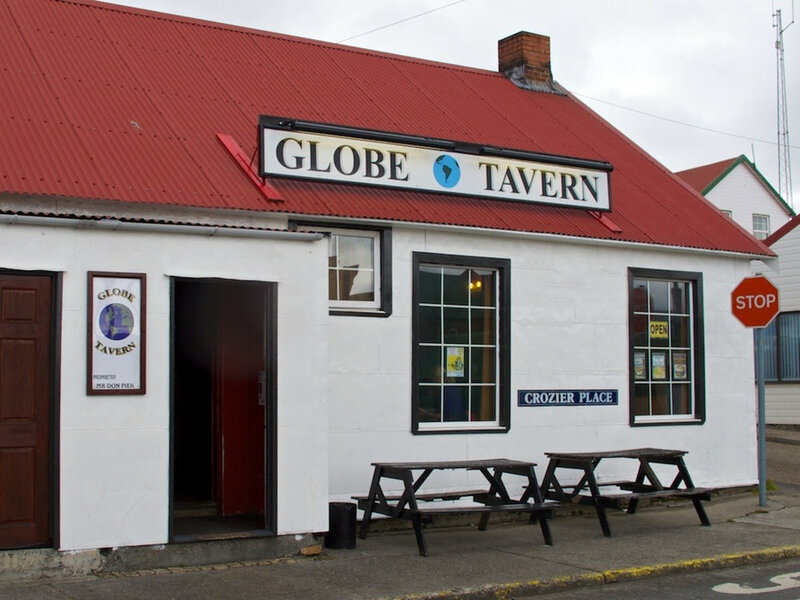 Tomorrow we head down towards Cape Horn, as we wind our way to Ushuaia, the southernmost city in the world.